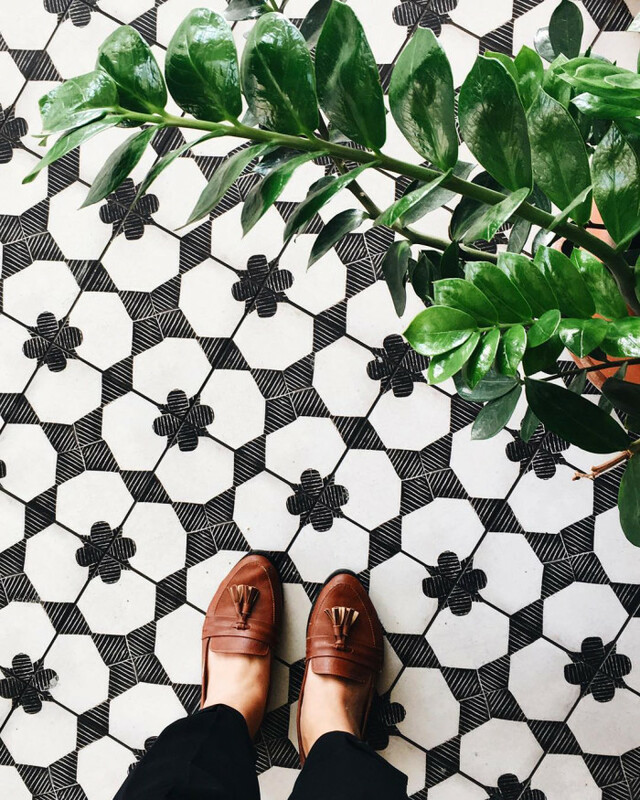 What's black and white and tiled all over? 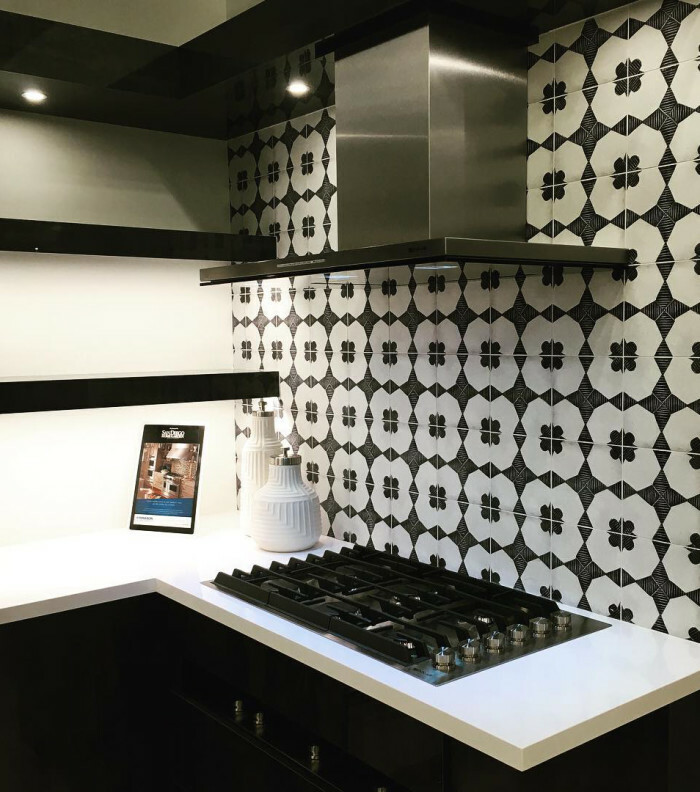 Enchante Moderno! 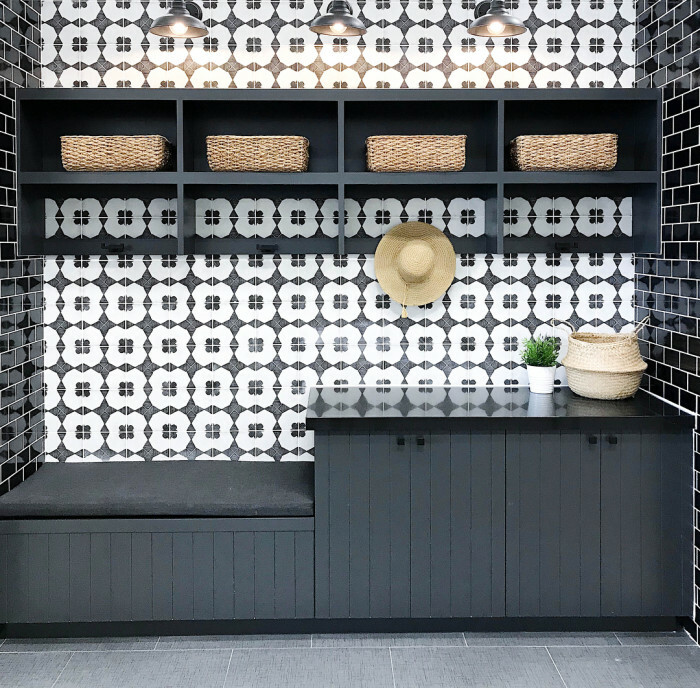 Moderno, the black and white encaustic-look tile from our porcelain Enchante Collection, is making a huge splash, literally. 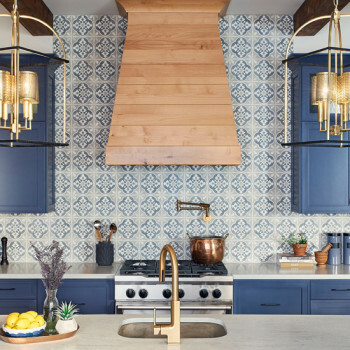 Designers and homeowners are loving it for backsplashes, floors, walls, fireplaces, in homes and businesses alike. 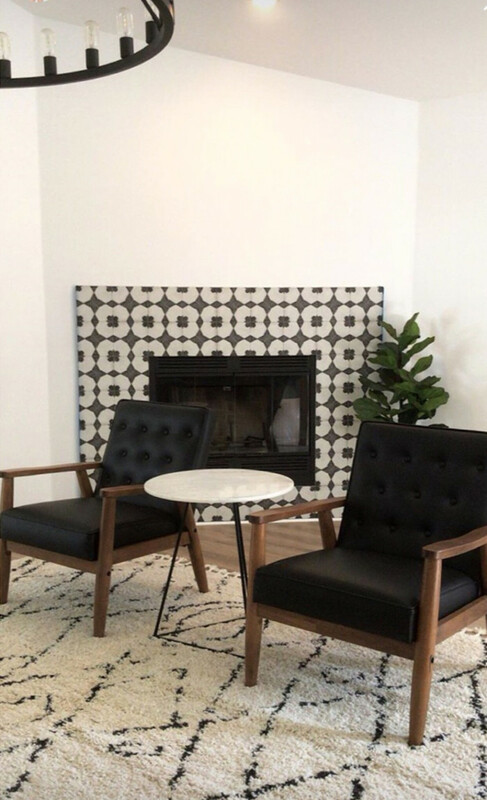 We have discovered so many beautiful installations on our customers' Instagram posts. 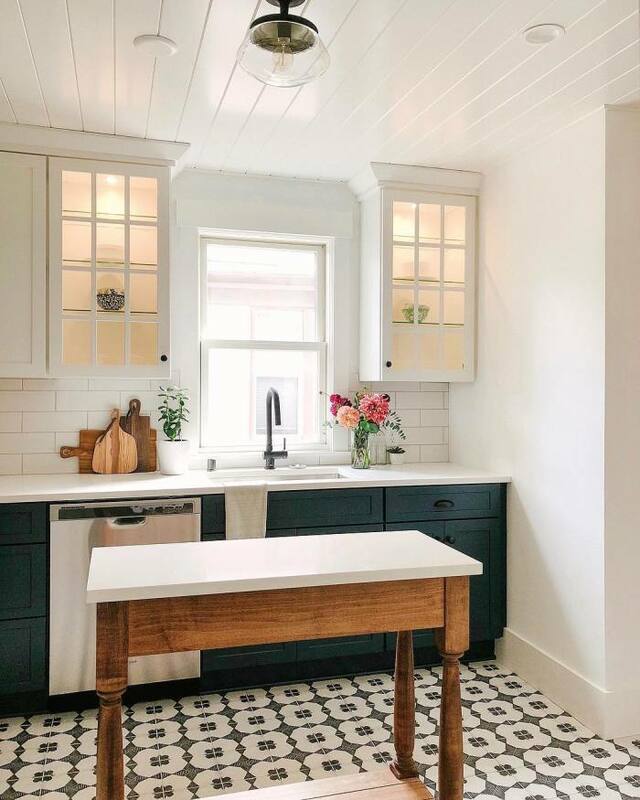 We're excited to show you how people, from Chip and Joanna Gaines from HGTV's Fixer Upper to bartenders in Portland, Oregon, are using this best seller to make it their own. 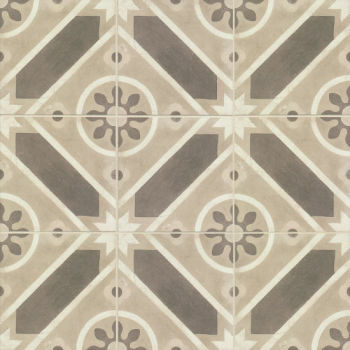 Designed to replicate hand-painted cement tiles, the Enchante Collection delivers the aesthetic of encaustic cement tile in a low maintenance, durable color-body porcelain. 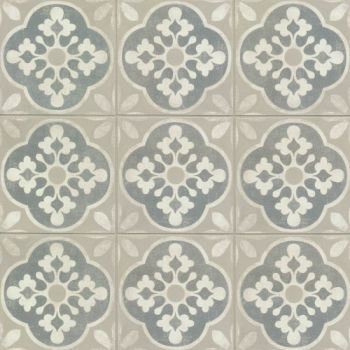 It's available in 8”x8” tiles in repeating three patterns: striking black and white Moderno, floral blue and grey Charm and cream and brown geometric Splendid. 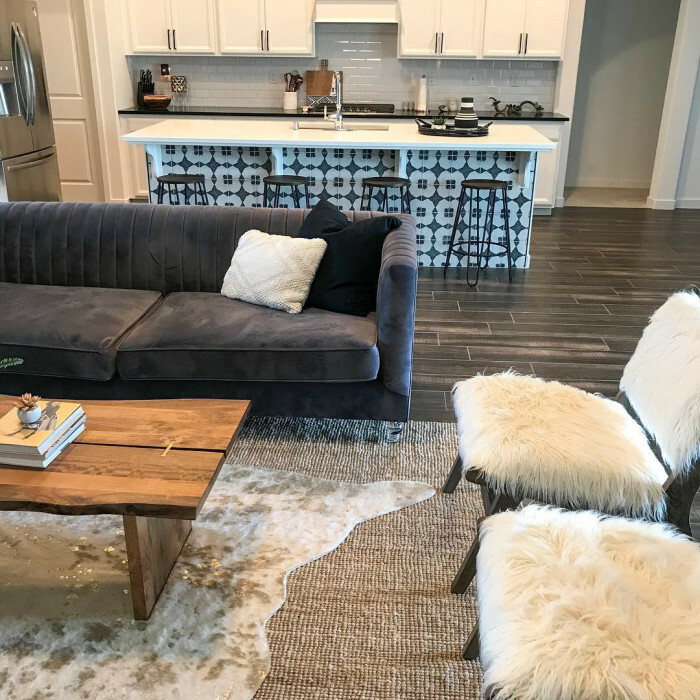 Chip and Joanna helped punk rocker Mike Herrera — bassist and front man for the Washington-based indie band MxPx — and his wife Holli, pick out a family-friendly home in Waco and then transform it with a stylish update that includes a home studio. 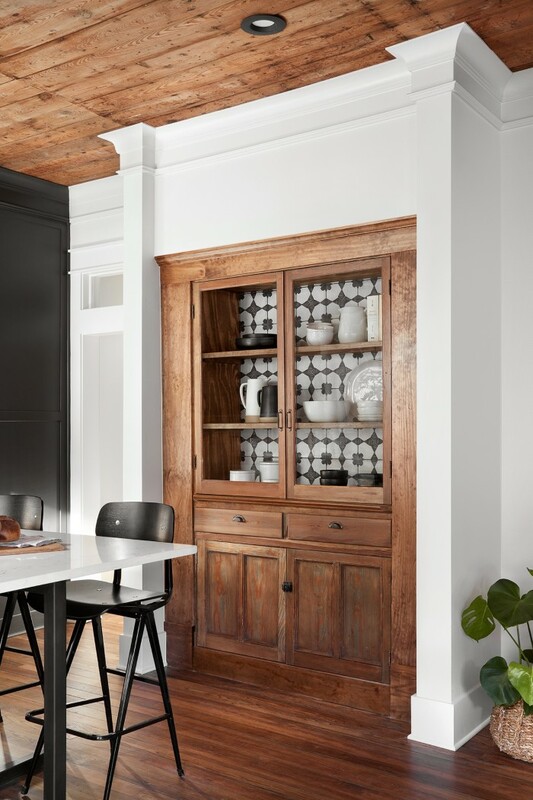 To add interest to a built-in hutch, Joanna restored the wood and added in the Moderno tile for a distinctive and unexpected touch. 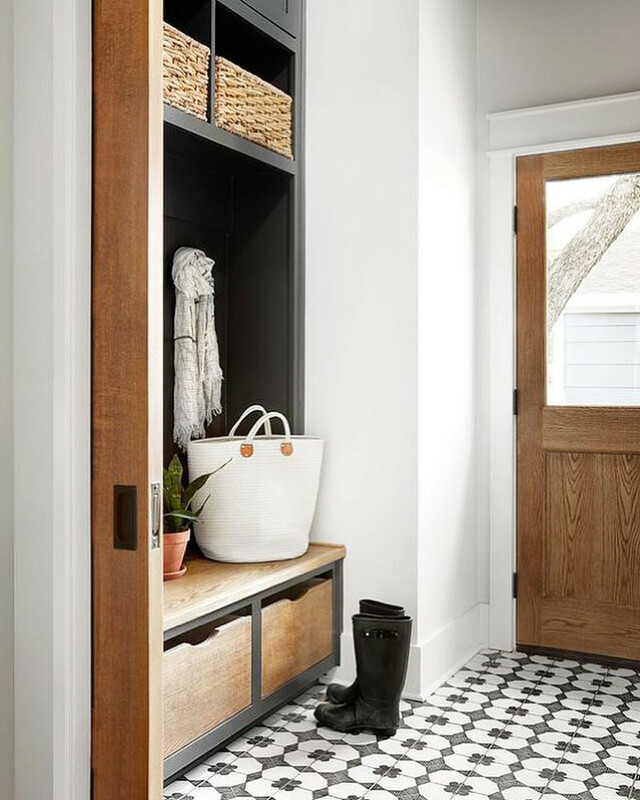 She also tiled the mudroom in the same tile to tie the spaces together. 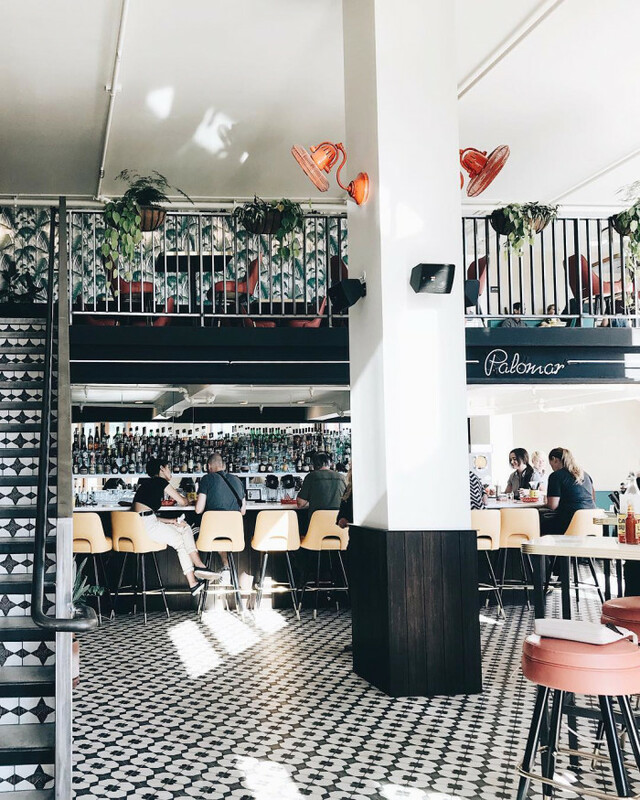 Used as a bold base to a sleek daiquiri bar in Portland, OR, Moderno's black and white pattern mixes well with the bar's vibrant color palette. 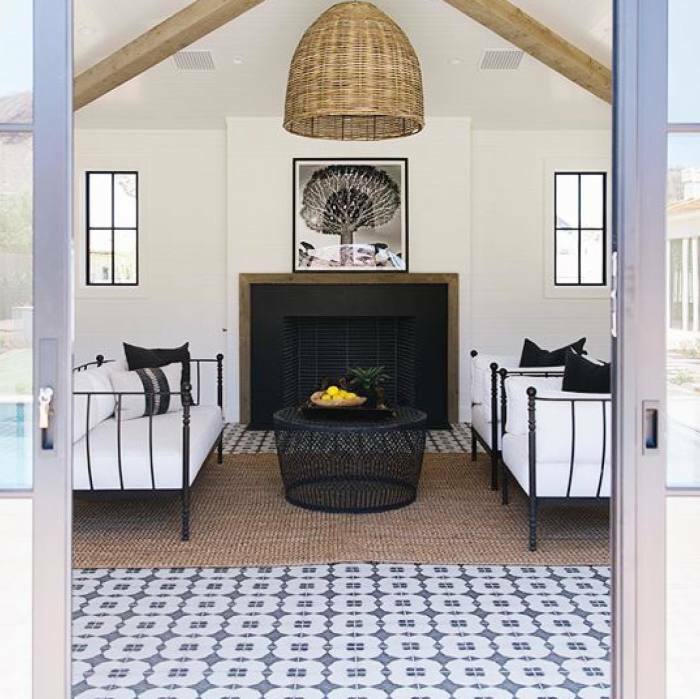 See more photos of Palomar on their Instagram. 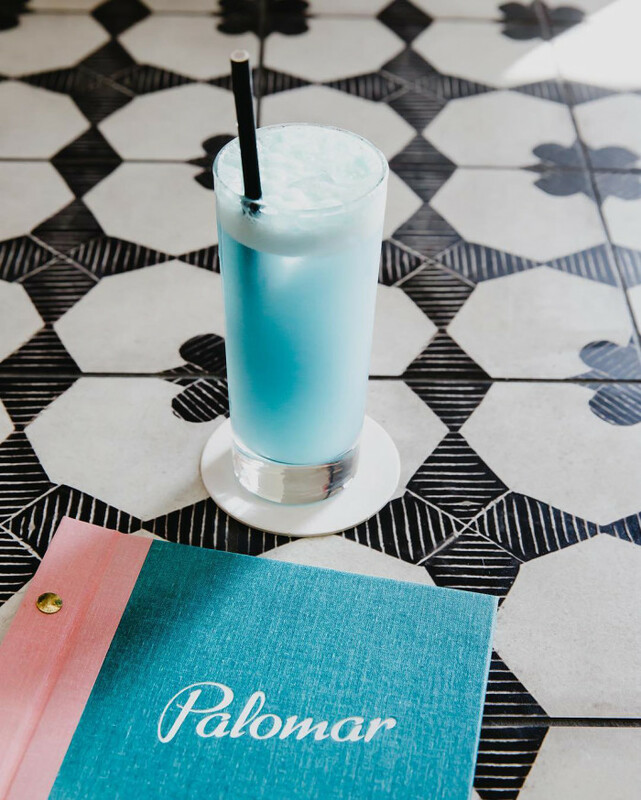 If you're in Portland, stop by for a cocktail - Palomar is located in SE Portland, at 959 SE Division St.
We love the simplicity, elegance and ease of black and white. It's an extremely flexibile palette that works for all styles, home size and budget. 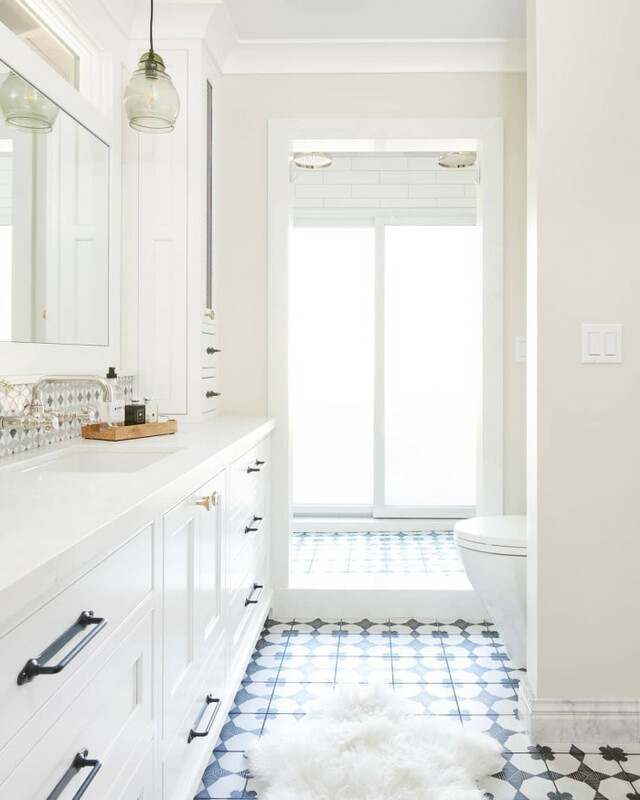 You can stay monochromatic for your whole look or add in bold color which will be set off by the floor. 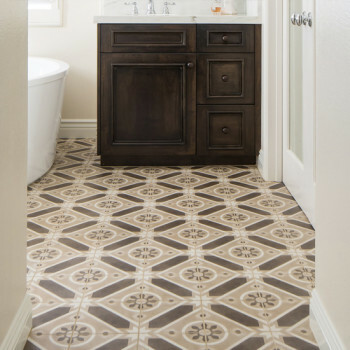 Any way you choose to work it, Enchante Moderno floors are amazing and create a memorable impact. 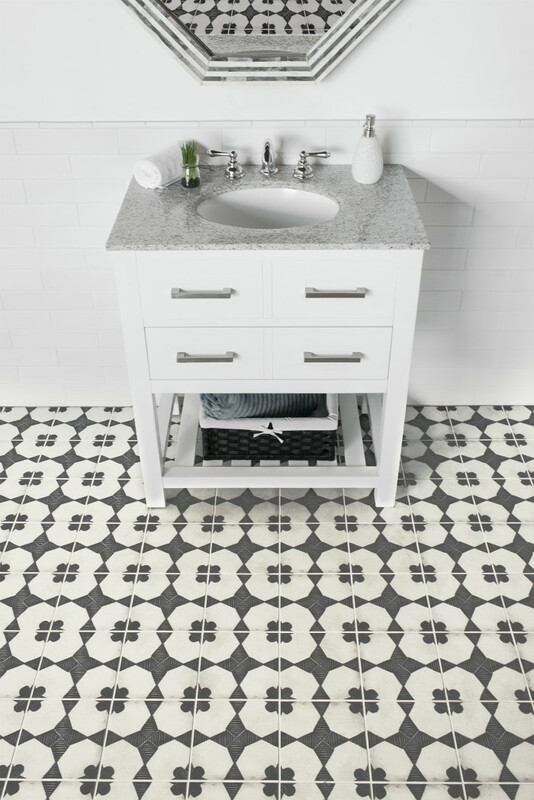 Take Moderno up and off the floor. 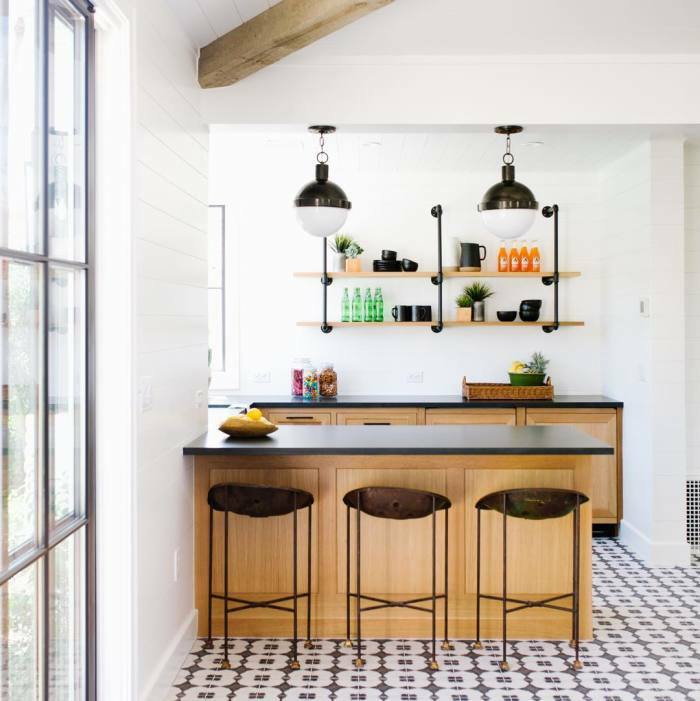 Place it vertically on the walls, backsplash, fireplace and island fronts. 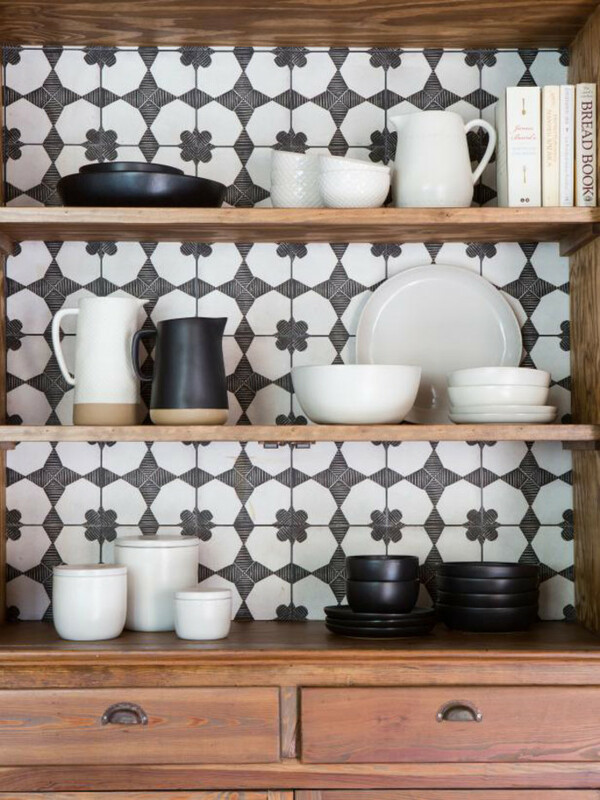 Embrace the artistry of the pattern and let it speak boldly as part of your room's decor.